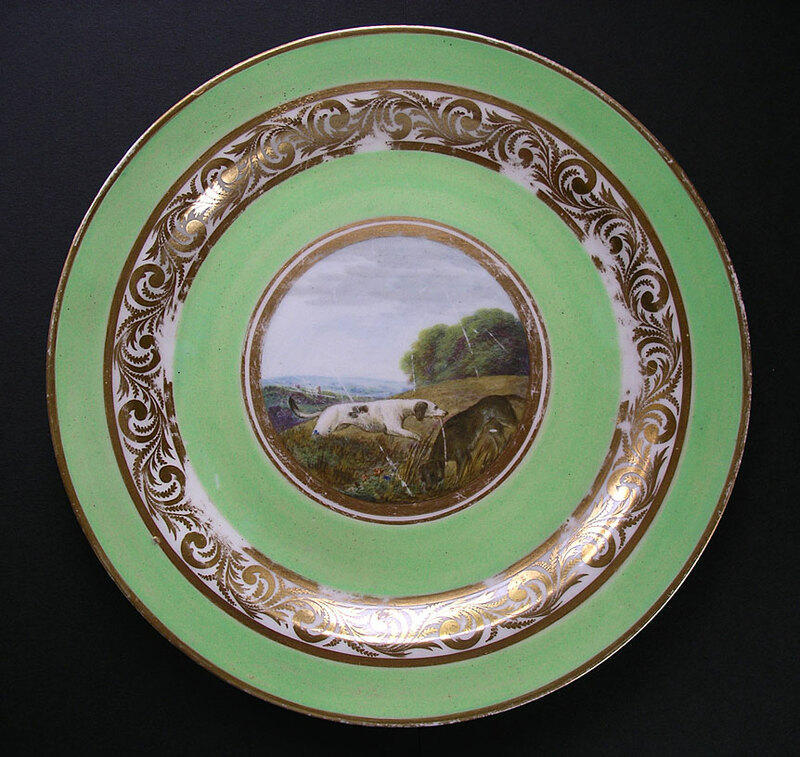 "A Derby Animal Service pattern 268 cabinet plate made around 1790. One of very few Derby eighteenth century antique porcelain patterns that is not principally a floral, botanical, neo-classical or landscape subject. It is generally accepted that the Animal Service pieces were painted by talented Derby ceramic artist John Brewer. Many of the individual animals depicted were 'adapted' from illustrations in contemporary sources like Bewick. 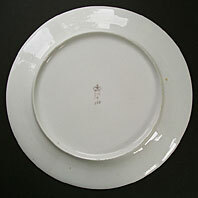 A rare piece for the serious Derby collector and lover of fine eighteenth century English porcelains." Antiques Expert Hamilton Bear. References: Derby Animal Service pieces can be found in the permanent collection in the Hermitage St. Petersburg and the Derby Museum and are illustrated in the standard works on Derby Porcelain. It is probable that only one or two large services were ever produced by Derby in this unique pattern. Provenance: one of those scarce pieces from a choice 'Derby Collection' in Middle England shire. Dimensions: width 225 mm max. Marks: Crown crossed batons and Derby D mark in puce to base as illustrated. Condition: No damages or restoration to porcelain. In common with all pieces we have noted in this rare pattern there is rubbing and wear to to the gilding - edge and border pattern and surface scratching to the overglaze painting caused by knife wear through use. Note that the detail 'zoom' images are much larger than life-size. A rare piece that has survived and been cherished for over 200 years.